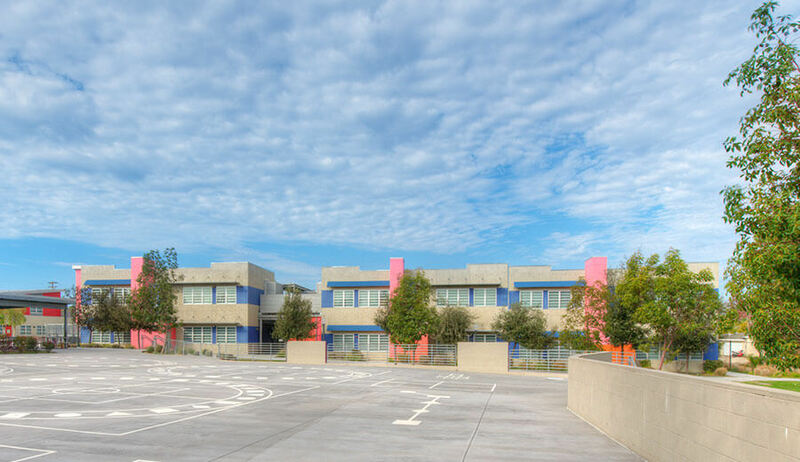 The Normal Heights Elementary School involved mixing new construction with extensive renovations to bring forth a fresh, state of the art educational facility for one of San Diego’s less affluent neighborhoods. 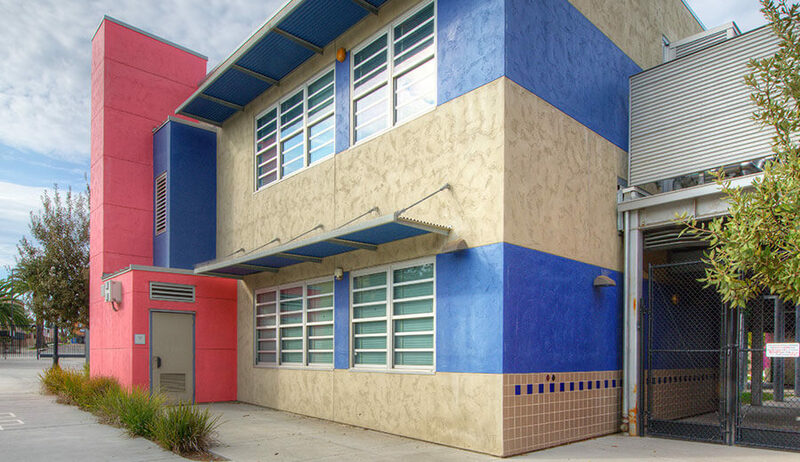 Soltek fast-tracked this work, including extensive preconstruction services with a six day work week in an attempt to complete the project prior to the school’s scheduled September start date. Averaging over one hundred workers daily, the pace remained rapid until completion. The project scope involved work on six buildings scattered over a six acre site, with a total area of 42,000 sq. ft. 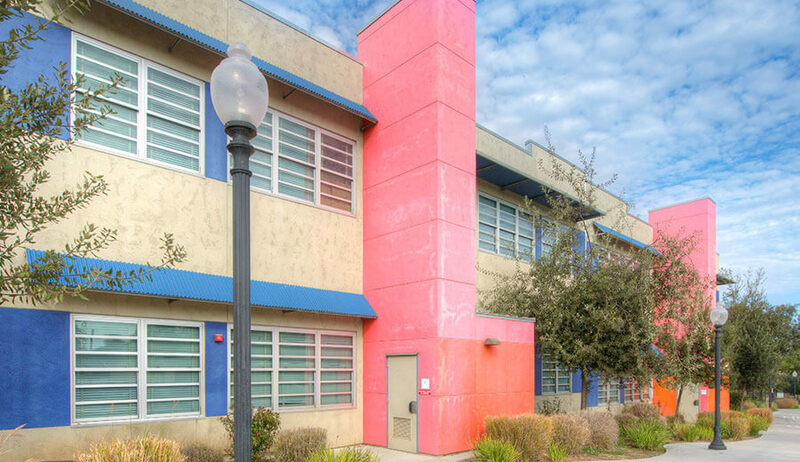 The scope involved extensive site improvements, improvements in the public right-of-way, construction of two completely new buildings (100 and 600) and the remodel of four classroom buildings (200, 300, 400, and 500). 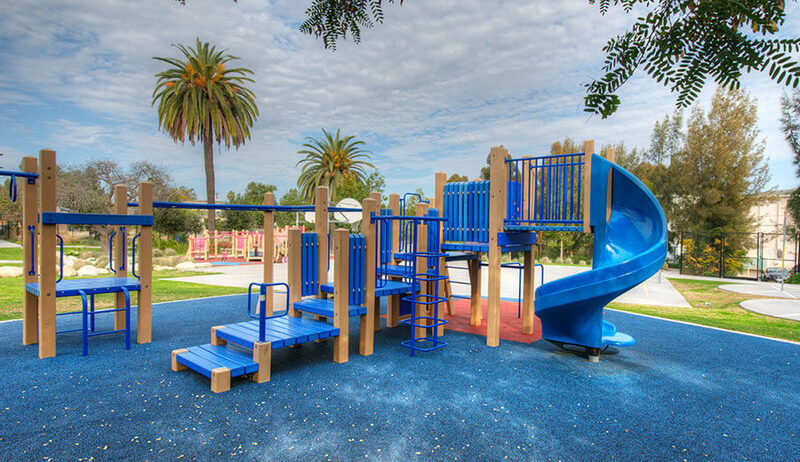 The site work included new asphalt paved parking and playground areas, new concrete walkways, striping, landscaping, ornamental fencing, play structures, masonry retaining walls, and replacement of underground utilities. Public improvements included the development of traffic plans to enable the upgrading of an existing alley, along with new curb, gutter and paving, planting and irrigation, and utilities in the main thoroughfare. The new buildings were constructed of a mix of split-faced masonry interspersed with bright colored stucco finishes, metal sunshades and low-e glazing. The existing buildings were similarly finished for overall continuity. Special features included new low voltage communications and video systems, CATV, Wi-Fi, and smart boards.